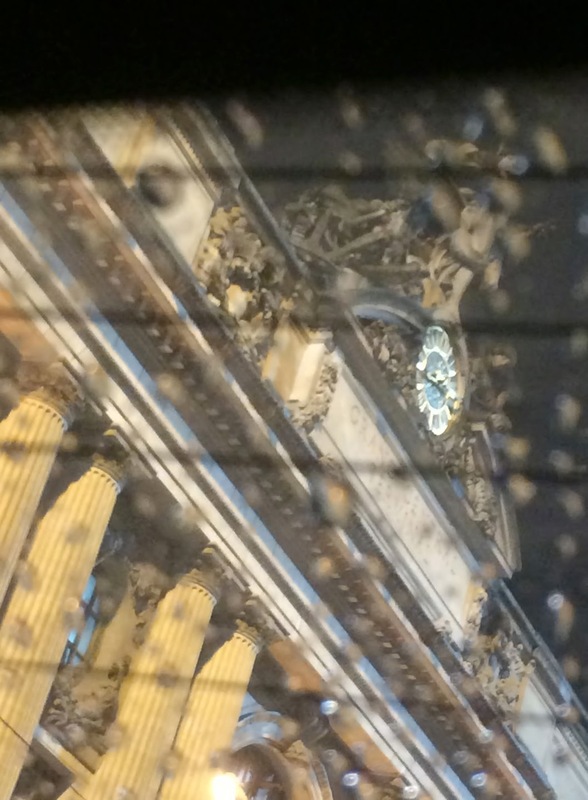 A glimpse of Grand Central, taken with my phone through the back window of a cab on my way home from dinner with Geraldine last night. First snow yesterday, thin but persistent, coming down through the afternoon and into the night. It melted as soon as it landed, so it was more like a light rain, not unpleasant to walk in bare-headed.